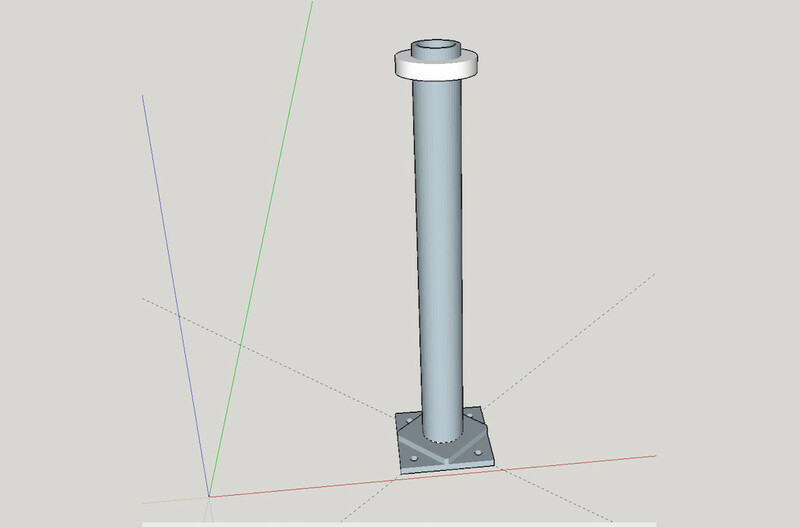 In my last post I was singing the praises of drafting and computer aided design (CAD). I was particularly excited about a product called Sketchup. I was saying that anybody who builds things would be better off they were able to draw them out before the actual work begins. And it just so happened that I had a project in mind, So I followed my own advice and drew it up. 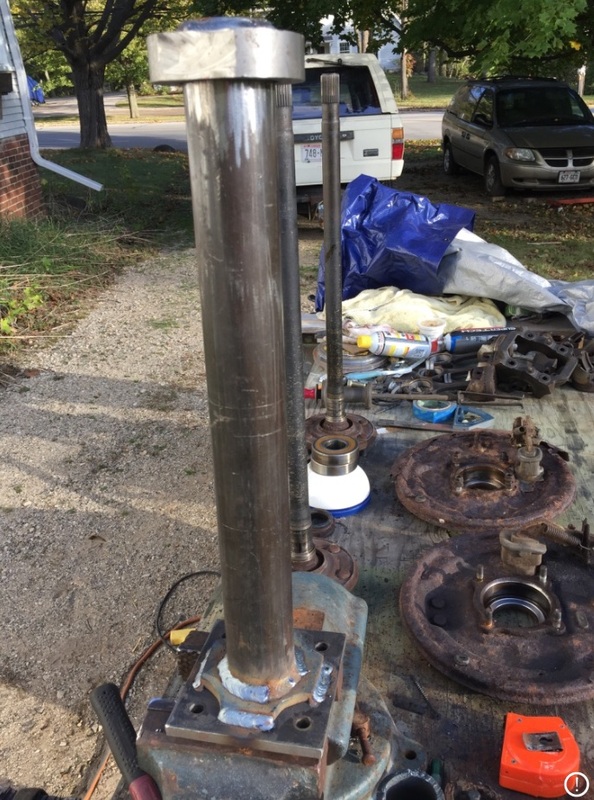 I am working on the rear axle of my 1993 Toyota 4-wheel drive pickup truck. It needs new brake backing plates. The existing backing plates are badly corroded from road salt. The backing plate is part of an assembly that consists of the axle, the wheel bearing, the backing plate and a retaining collar. The assembly is pressed together and secured with a snap ring. In order to separate the backing plate from the rest of the parts it has to be pressed apart. 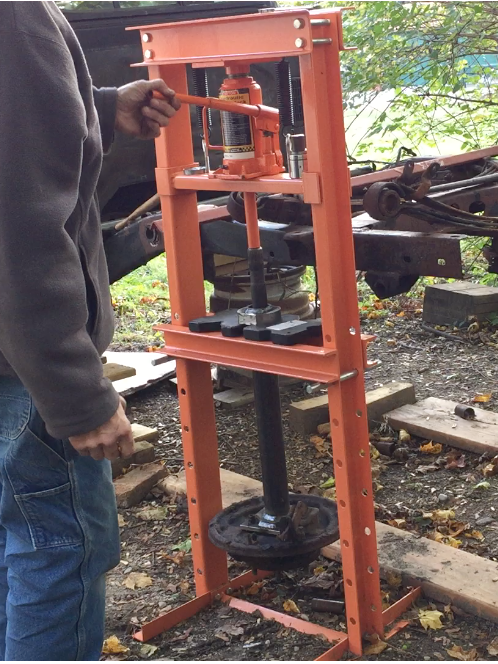 I already had a little 12-ton hydraulic press, but I didn’t have the tool. I anticipate doing more than one or two of these jobs so I decided I needed to have the tool. The first one I saw was offered on Amazon.com. 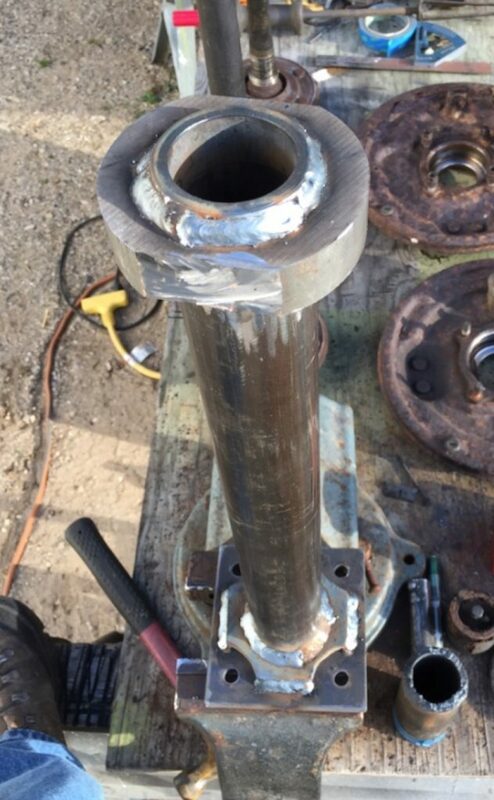 A dissatisfied buyer posted pictures of the tool with a bent bottom plate. That didn’t stop me from trying to cobble together a replica of that tool from 1-1/2″ schedule 40 pipe and some quarter inch steel flat stock that I had lying around. That was a dismal failure. The quarter-inch stock was no match for the 12 ton press and neither were my welds. This got me thinking that I ought to do the job right and so I sat down at the computer and fired up the free 3-D modeling software, Sketchup. Super Low Cost Welding Machines Are Here Now! An Amazing GT Style Sports Car Bargain! Jerry Onedub on WrenchTech Garage: Shopcraft as Soulcraft.